Sweet potato leaves is a tropical to temperate climate plant which is cordate, hairless and heart shaped. The upper and lower surface of leaves is olive green in color. The margins are smooth and hairless long petioles. The leaves of sweet potato are generally consumed in the Islands of Pacific Ocean, Asia and Africa. The young and mature leaves of sweet potato have meaningful health benefits. 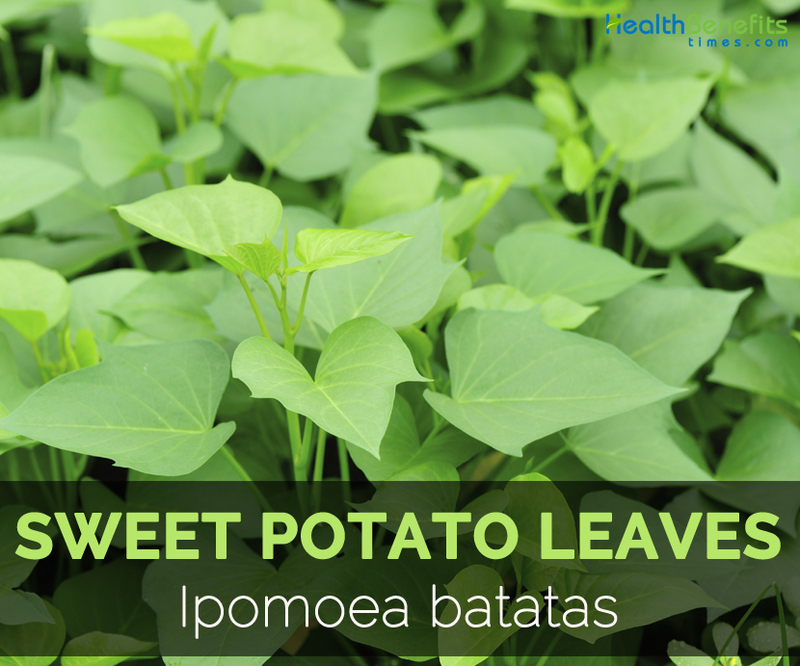 Along with the tubers of sweet potato, the leaves are also edible. Besides its delicious taste It is flavorful with some bitter taste. The leaves are consumed and cooked as spinach. 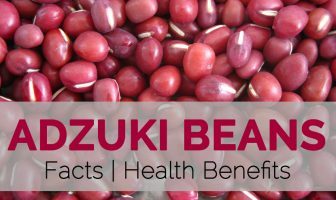 It is a great source of antioxidant, Vitamin C, A, thiamin, riboflavin, niacin and folic acid. In comparison to other leafy greens, it possesses more dietary fiber and nutrients. Vitamin K helps to prevent the arteries calcification which is one of the main causes for heart attacks. It carries away from arteries and does not allow forming into harmful and hard deposits of plaque. Vitamin K is a vital nutrients in order to reduce inflammation and prevent the cells which lines the blood vessels such as arteries and veins. An adequate intake of Vitamin K helps to maintain the healthy blood pressure and reduces the risk of having cardiac arrest. Vitamin K helps to maintain the calcium on bones and reduces the chances of osteoporosis. The studies shows that high intake of Vitamin K can eradicate bone loss in osteoporosis patients. Vitamin K is essential for using calcium to form bones. Vitamin K enhances the health of bones and lowers the chances of bone fractures in the postmenopausal women. The high intake of Vitamin K2 helps to reduce the chances of hip fracture by about 65%. The evidence shows that Vitamin D and Vitamin K works together to enhance the density of bones. Vitamin K has the positive effects on calcium balance. The consumption of foods rich in Vitamin K by the injured patients helps to prevent the sprained ankles and recovers the broken bones. Vitamin K regulates the hormone function lowers the pain of PMS cramps and menstrual pains. Vitamin K clots the blood and prevents the excessive bleeding during menstruation and relieves pain of PMS symptoms. Over bleeding can cause more pains and cramps during menstruation. The deficiency of Vitamin K can worsen these symptoms. Vitamin K helps to reduce the chances of colon, prostate, nasal, oral and stomach cancer. The study shows that high intake of Vitamin K by the liver cancer patients helps to enhance the functions of liver. The intake of Vitamin K helps to reduce the chances of cancer and cardiovascular conditions. Vitamin K assists in blood clotting which requires twelve proteins to function. Vitamin K promotes the clotting of blood which helps to recover the cuts and bruises quickly. When the blood clotting does not takes place properly then one could experience haemorrhagic disease of new born. This is caused due to the deficiency of Vitamin K. The study shows that the newborns should be given the injection of Vitamin K at birth to prevent from HDN. The study shows that Vitamin K has the role in the metabolism of sphingolipid in which the molecules occur naturally which is present in the cell membranes of the brain. Sphingolipids have a vital role in the cellular actions and assist in forming and supporting the structural role in the brain. An evidence shows that Vitamin K possess an anti-inflammatory properties which prevents the brain from oxidative stress which is a free radical damage. Oxidative stress damages the cells and contributes to the Alzheimer’s disease, cancer, Parkinson’s disease as well as heart failure. Cavities and gum problems are the result of the food low in Vitamin C, A, D and K. The intake of foods rich in fat soluble vitamins helps to prevent the gum disease and tooth decay. It also plays a vital role in the mineralization of teeth and bones. The food rich in minerals and vitamins helps to eliminate the bacteria present in the mouth and teeth. Vitamin K works with other vitamins and minerals to eradicate the bacteria that damage the enamel of tooth. It also maintains the strong teeth by providing adequate amount of minerals. Vitamin A helps to prevent macular degeneration which is the major cause for blindness. The study shows that the intake of Vitamin C, Vitamin A, zinc, Vitamin E and copper helps to reduce the chances of macular degeneration by 25%. The studies also show that the dry eyes could be treated with an application of Vitamin A eye drops which helps to provide relief. Vitamin A helps to slow down the development of Stargardt’s disease which is an eye disease for the vision loss in the people at young age. Vitamin possesses antioxidant properties which eradicated free radicals from the body that damages the cells and tissues. Vitamin A reduces the chances of food allergies and prevents the harmful overreaction. It lowers the inflammation which helps to reduce the chances of neurodegenerative diseases such as Parkinson’s disease and Alzheimer’s disease. Vitamin A is essential for the regrowth of skin and to heal wounds. It assists the epithelial cells externally and internally. Vitamins help in the formation of glycoproteins which is the combination of protein and sugar and binds the cells together for the formation of soft tissues. Vitamin A deficiency results in poor complexion. Vitamin A can promote the health of skin and also counteracts acne. It keeps the wrinkles and lines at bay with the production of more collagen which helps to maintain the skin young. It also provides the healthy hair. Sweet potato helps to reduce the chances of liver disease and stomach cancer. It lowers depression and helps to lose weight. The fresh leaf helps to treat neoplasia. The leaves are considered to possess an antioxidant, antimutagen, anti-cancer, anti-hypertension, anti-microbial and anti-inflammatory properties. It is used to provide relief from constipation. It helps to enhance the immunity power and prevents the disease and infections. The drink made from the leaves helps to eradicate diarrhea, nausea and stomachaches. It is also effective for colds, flus, burns, bug bites and scrapes. It also lowers anxiety, stress and blood pressure. The leaves of Sweet potato are consumed as leafy greens. They can also be steamed, fried or boiled. Chop the leaves of sweet potato and add it to the recipes or sautee with garlic and butter. Sauté leaves with sesame oil and ginger. And then season with pepper and salt. It is a best substitute for the spinach. In Asia, the leaves are stir fried with soy sauce and garlic. It could be consumed raw by adding it to the salads. Calories 15 Kcal. Calories from Fat 1.62 Kcal.